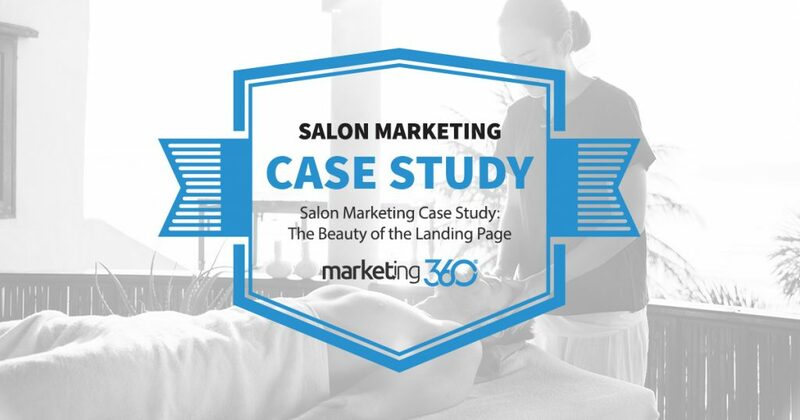 The beauty of a landing page for a salon is high conversion rates. Here’s what it looks like. A strong landing page derives its beauty through functionality. Its job is to convert prospective salon clients into appointments. Let’s breakdown an effective landing page designed by Marketing 360®. Two calls to action, the phone number and short contact form. Special offer for 10% off the first appointment. Strong use of facial images with the hero shot (person enjoying a facial) on the left and a directional cue with person looking at the form call to action on the right. And it works. This landing page converts at 13.51%, with the top ad converting at 16.88%. Compares last 180 days to the previous 180 days. Those are beautiful gains indeed.